You do not need to live a life filled with worry, concern, anxiety, panic, depression and fear!! One of the many benefits of being saved is that you have freedom from fear. Fear begins with a thought. God didn’t leave you to “face” your fears alone. He gave you His Word. It is as you spend time in His Word that you will renew your mind. As you renew your mind, you will have strength to deal with these thoughts. You must take the Word and CHOOSE to meditate on it. When fear (or other negative thoughts/emotions) come – speak the Word. Choose faith! Choose life! God has give YOU a spirit of love, of power and of a SOUND mind. You must choose to walk in these things. You have Christ in you. So whatever Jesus is, you are too. He is strong, and in Him, you are strong. He is courageous; in Him, you are courageous. He is a conqueror, so you can be too. He has peace and joy, so you have peace and joy. He’s capable and bold. In Christ, you can do whatever you need to do with His boldness. As you study the Bible and meditate on what God says about you, you will be able to recognize the fears in your life that are holding you back and overcome them by seeing yourself in Christ. Then you will find you have whatever you need to do what you are created to do. Live life with boldness! Live life passionately pursuing what God has called you to do. 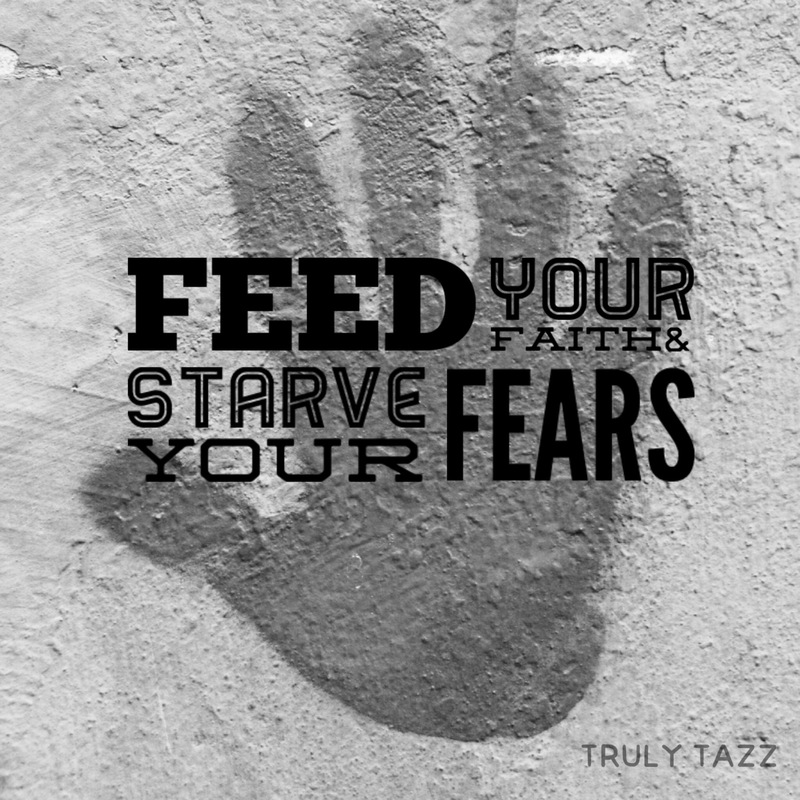 Don’t let fear stop you – starve it! Feed your faith with the Word of God. Walk out your victory in Christ everyday. Have a wonderful week as you walk in boldness!